You never know who’s going to want to come and demo your game at a convention like PAX South. The Messenger is a modern homage to Ninja Gaiden. As such, it’s a pretty challenging action platformer. 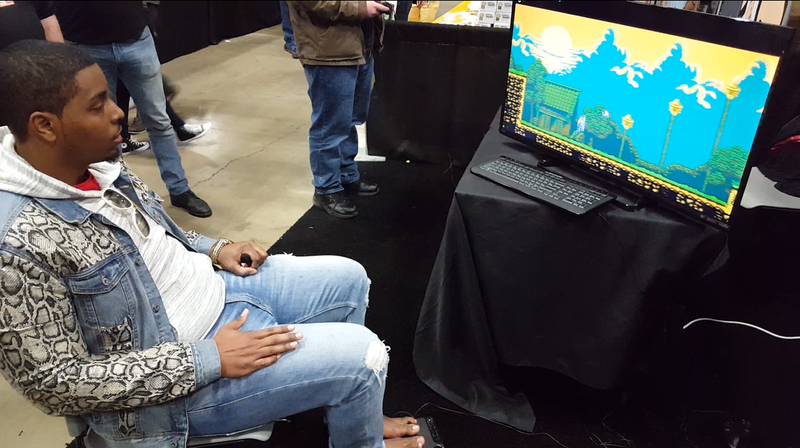 But that didn’t stop a streamer who goes by the name Jrocthegod from trying to demo the game at its PAX South booth with his feet. The game’s developer, Sabotage Studio, wasn’t about to say no it seems. Jrocthegod uses a fight stick instead of a regular controller for this type of thing, I imagine because the joystick and big buttons make it a little bit easier to get the precise inputs you need for a game like The Messenger. Without breaking a sweat he took down one of the game’s bosses in no time. It was quite a feat. Jrocthegod has been taking on other games barefoot over at his Twitch channel. So far, the big two he streams routinely are Resident Evil 2 and Metal Gear Solid, the former of which he also speedruns. It just goes to show there’s no wrong way to play a game, and if you’re a developer showing your latest project off, be prepared for anything.